Anyone who would like to become a member needs to fill in a membership form. ​​You can print a membership form from this page or alternatively you can collect a form from one of our coffee mornings or you you can send a SAE to Special Kids Bexhill, 1 Constable way, Bexhill-on-Sea, East Sussex TN40 2UH and we will post a form to you (please enclose a note with your SAE stating you would like a membership form). 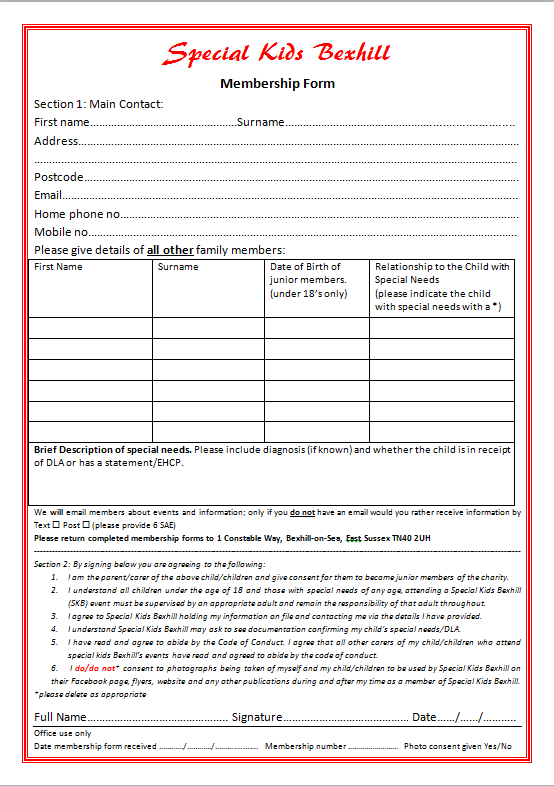 Our membership form may be more detailed than expected but this is to ensure the easy running of the group and the safety of the charity. We ask for the diagnosis of your child/children as some venues request the information of the different disabilities that the children attending the activity have. (The children are never named, just a list of disabilities) This is for health and safety reasons and saves you time as we would already have the information rather than asking members each time we book particular venues. 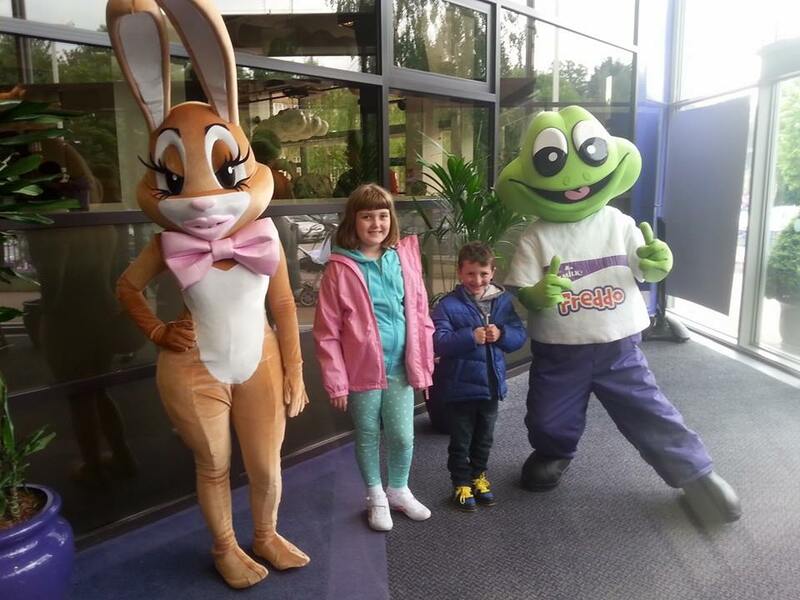 Special Kids Bexhill has at its heart the ideal of getting special needs children out and about and having fun with family in a supportive environment. •	Membership itself is free and limited to Parents of the child with special needs and their siblings. •	Non-members who are friends and family of the child with special needs maybe able to attend events although a non-member price will be charged and priority is given to members. Permission must be sort from the Trustees prior to booking spaces for non members. •	New events are sent out after each school holidays by email or text, but some events can book very very quickly so keep a sharp eye out!!! •	All children under the age of 18 and those with special needs of any age, attending a Special Kids Bexhill event must be supervised by an appropriate adult and remain the responsibility of that adult throughout. It is a prerequisite for membership that a child in your care has a special need, at present it is not essential that they have a diagnosis. We do not usually ask for documentation in support of your child's special need but the trustees may refuse or withdraw membership if this cannot be provided when requested.